Over the years, the way in which bingo is played has changed a lot, largely due to technological advancements and a few other factors such as the smoking ban. While going to the local bingo hall with your friends was the norm in the past, people now tend to enjoy the convenience of playing online. Online bingo has really taken off in recent years with just about all the biggest brands offering bingo online with many different rooms, jackpots and even some free games to get people involved. With the improvement in technology that now allows for mobile bingo being the latest major development we are now looking to the future for what is next. Here, we are going to discuss the idea of virtual bingo and how this technology might work. Keep reading to find out more. Virtual reality is a new piece of technology that generates a simulation of a 3D image or environment through a pair of glasses that the user wears, known as VR glasses. This type of technology is used in many different industries with many gaming companies attempting to incorporate virtual reality into their games. The technology is impressive and allows people to become immersed in another world. This could be very beneficial for online casinos and bingo sites that want to go the extra mile to give their players an exciting experience – it could also prove profitable! Is Virtual Bingo The Future? Over the years, the idea of virtual bingo has become a lot more talked about as people see the decline in popularity of bingo halls and the increasing popularity of bingo sites. While virtual bingo is still something which is very new, it is expected that this technology will become the norm in a few short years. Virtual bingo could see players placing their virtual reality glasses (see photo! lol) on and feeling as though they have walked into a bingo hall. With the numbers being drawn in front of them and their bingo ticket filling up, they’ll feel the excitement much more than the current 2D version of the game. While this technology still hasn’t hit the mainstream, it is expected that virtual bingo will become the future for this game. Online bingo has become one of the most popular ways to play this game with traditional bingo halls struggling to pull in the numbers as they once did. While online bingo and the bingo rooms that the best sites offer are extremely popular, we predict a shift in the not so distant future. 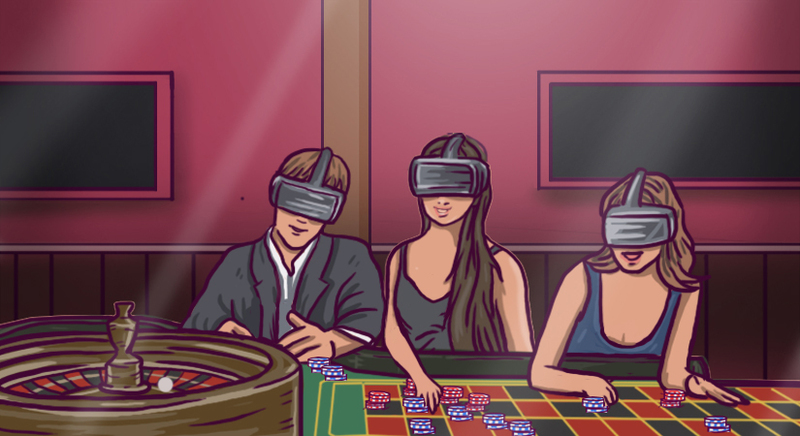 With forward thinking bingo sites likely to take the lead, we expect virtual bingo to soon become the most popular way to play this fun game as players will be able to get the full bingo hall atmosphere from their home, just so long as they don’t mind looking daft in a pair of VR glasses! 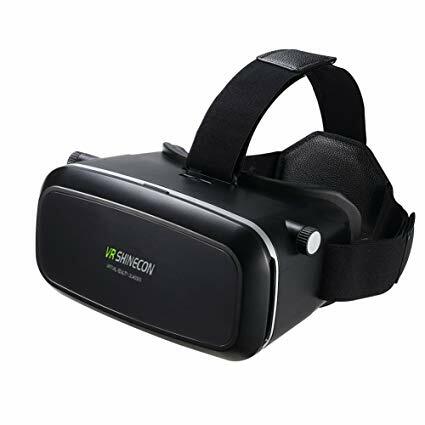 A decade ago and maybe even a few years ago it would not have seemed very likely that we would even be contemplating playing online games using virtual reality equipment but recently the technology has really moved on. It now seems very likely that there will soon be many users of virtual reality and that they will be playing games using their specialised kit. With the kit getting more popular and cheaper, it means that more and more people are becoming interested in it. This means that there is also more software being designed for using with it as well. 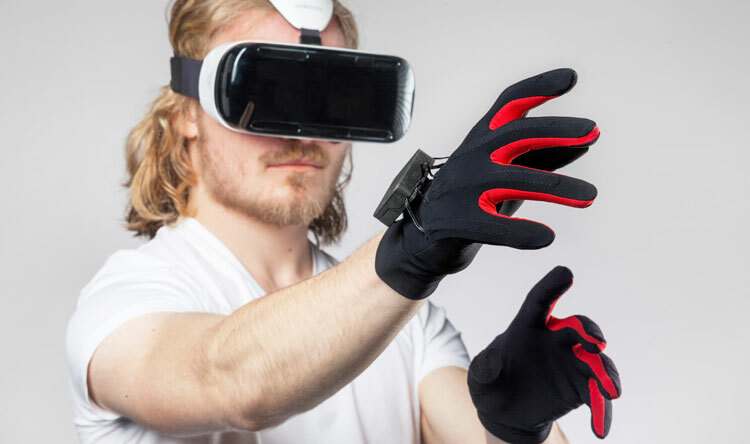 This means that you could find that you will soon be playing your favourite casino game with a VR headset and glove controller, even though you may not have ever imagined ever being able to do this. This could really enhance the experience as you will feel much more like you are totally engrossed in the game, you will get more of a feel of being in a real casino and therefore the games will be a lot more fun. At the moment games are starting to progress with simple computer games run on the PC now being available as smartphone apps. But technology never stops and now you will discover that there are all sorts of options available and there is a variety of online roulette games that you can play with the newest technology as well as many other casino games available. This is a very exciting time for online games fans. It means that they will soon be getting fantastic new games available for them to play using virtual reality. If you do not have a headset and glove yet, then it would be wise to just wait a bit longer and research what games there are available and what they are compatible with. You will then be able to use the very latest technology to play your favourite games. This will mean that you will be the envy of all of your friends and will also be able to have really great fun playing the most realistic casino games and one that you will really enjoy. No more being bored while traveling – Netflix finally allow users to download content for watching offline. This is a feature that has been asked for many times and they finally came through. Maybe you have been split between getting a Netflix subscription and not getting one because of the lack of this feature. Then this is the time to subscribe! Not only does this open doors for watching whole seasons of your favorite show in a country where you do not have access to the internet, but you also get to save a lot of data when commuting to and from work or school. The possibilities are endless! Sort of. The feature is available for phones and tablets that run iOS or Android for now. Something else worth mentioning is that not all series and movies are allowed offline mode yet, but most of the popular ones today are. Two examples of popular shows that you can watch offline today are Narcos and Orange is The New Black. To see exactly what content is available offline, update your app and go to the new “Available for Download” category. The price for a monthly subscription remains the same. More information and help on this can be found in this article. Get Netflix for iOS or Android. The MacBook Pro 2016 was rumored for a long time before it was actually announced. There were talks about all kinds of different features and appearances, some of which were that, just like the iPhone 7, the new MBP would not have a standard audio jack. Some rumors actually turned out to be true. Two examples of that are the USB-C ports and the Touch Bar. Since the unveiling of the new series of MacBooks on Oct 27, a lot has also been said about Apple’s new computers. The reviews have not always been positive and despite that, the sales show that the new MBP has been in demand. It is said that, the late 2016 MacBooks are the first MacBooks that have been developed and released without any input from Steve Jobs. For years, the MBP has pretty much stayed the same with only minor improvements. Apple tech-fanatics have waited for a considerable update for a time and in my own opinion, Apple came through. The OLED Touch Bar is obviously the selling point of the MBP, which made it outsell other similar computers, like Microsoft’s Surface Book. Is it hype for hype’s sake, or does the Amazon Echo really bring something new and innovative to the table? Well, we think that it brings something interesting to the table, especially when it comes to integrating technology into the home. So, what is so special about the Amazon Echo? 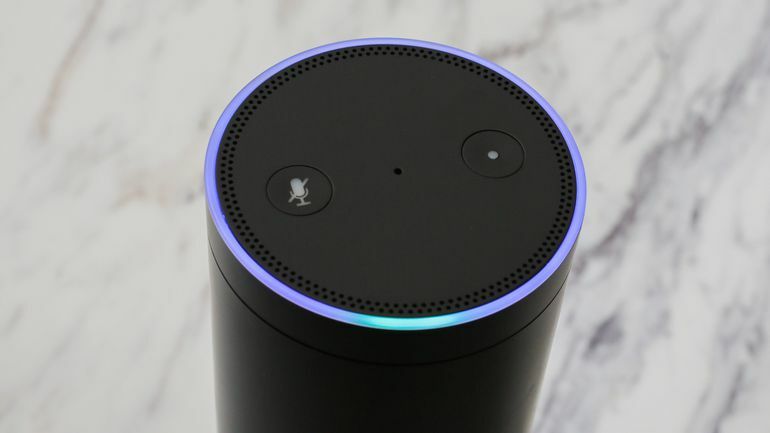 The Amazon Echo is designed to be a digital assistant for the here and now. It’s more than just a speaker system, even though it performs this very well. It can play your favorite music, check the weather, read the news to you, and even give you sports scores for a game that’s already played. I know finding a good set of headphones or a headset can be a tough task. Even for a gamer and especially when you’re not sure what you’re looking for. All you know is that you want good audio quality and a good bass for a good price. I got exactly what you’re looking for. 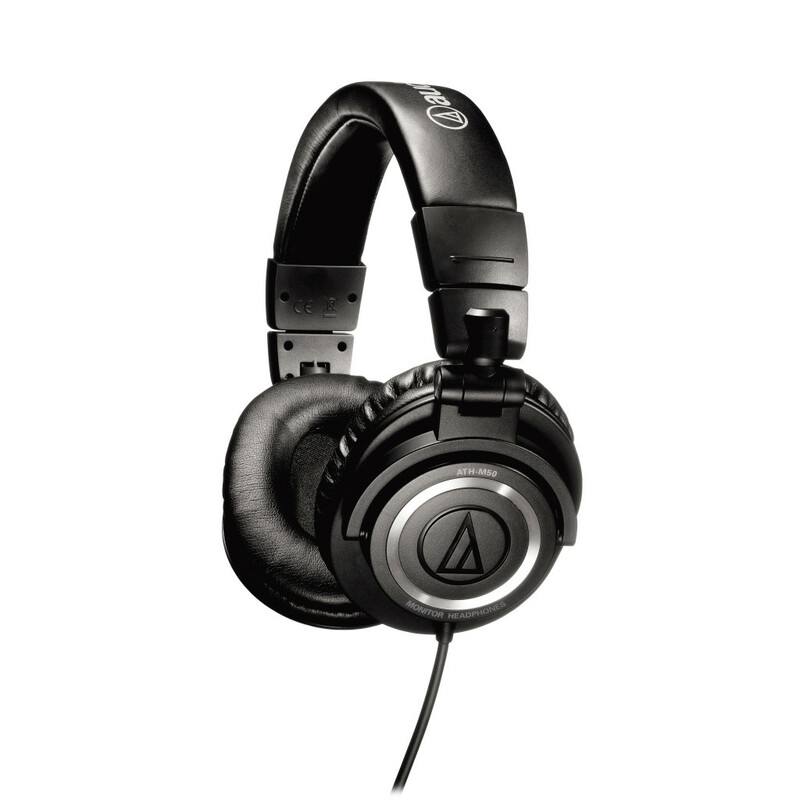 The Audio Technica ATH-M50 or the Audio Technica ATH-M50x. Before we get into the ATH-M50/ATH-M50x more, I’d like to clear something up. If you’re a gamer and want a headset, you should read this post. I used to purchase gaming headsets when playing games and when I found out about what I’m going to tell you, my whole experience of games and music was amplified a thousand times. The trick is to buy a headset and a mic separately. Finding a mic is not as hard as finding a good pair of headphones. What you can do is simply to buy a ModMic. A ModMic is a mic you attach to your headphones and plug in to your computer and the quality is actually pretty good. I know, having both the headphone wire and the mic wire hanging loosely can be irritating, but there are solutions for that. You could use easier adhesive or twist them around each other and use cable ties to tie them together. Only your imagination can stop you. Why should I get headphones and a mic separately? Better value. Enough said. Gaming companies make a lot of money on their products because of their customers laziness. What they do, is basically what you don’t. They combine a pair of mediocre headphones with a mediocre mic and make a mediocre headset for a high price. You can do the same for a much cheaper product! If you’re flat out looking for a pair of headphones and a mic without an explanation, go for the ATH-M50 or ATH-M50x and a ModMic. With this setup, you’ll go a long way for your average use. Price isn’t too high, and you get a lot of value. If you’re not interested in quality sound, you could pretty much go for any headset you want. What’s the difference between ATH-M50 and the ATH-M50x? Audio Technica has actually discontinued the ATH-M50 which means that you can find it for a lower price than the M50x (depending on where you’re looking of course). In some cases, they can be as expensive as the M50x. There is no big difference in sound. The main difference is that you have three detachable cables that come with. One coiled standard cable, one straight long cable and a straight short cable for portable use. The standard ATH-M50, without the x, has a coiled cable that can’t be detached. Something else that has changed is the fit. The earpads and the headband have gotten a makeover. I’ve tried both the ATH-M50 and the ATH-M50x, but I chose ATH-M50 anyway.Detachable cables and the new headband and earpad material wasn’t a good enough reason to spend the little extra. Now for the mic I use a table mic. It’s called The Yeti and it’s made by Blue Microphones. I got a microphone arm for it for it and fixed it to my desk. There’s not much to say about the mic other than that I am very satisfied with it. The last tip I can give you is that you should try every product before you buy it. Go to your local audio store and try headphones before buying them. If you have ever been looking to purchase an action camera for yourself to document all your crazy parkour stunts or diving you’ve probably stumbled upon a brand called GoPro, right? Well, there are a lot of other alternatives to GoPro cameras. It all depends on what you plan on using them for. If you’ve got a limited budget but want a good entry level camera, there are quite a few to choose from. One that I can recommend is the Intova Sport HD II. It’s a really great camera and can be compared to the GoPro Hero 3 Silver. In terms of specs, they are quite similar. The Intova Sport HD II can film 1080p@30fps and 720p@60fps. A very good thing about this camera is that the battery life is better than on the GoPro. Something else, is that you get some things you wouldn’t normally get with a GoPro. For example, there is a waterproof case included with the Intova, and you also have a built in LCD screen for live view and preview of footage. The reason you’ve only heard things about GoPro, and not other action cameras, is because they spend a lot of money and time on marketing. With this said, I don’t mean that GoPros are bad. The quality is really great, and they are durable. Something else that is great about the GoPro is that since a lot of people own GoPros, anyone on the internet can help you with any troubles you may have. However, if you are on a budget, you might want to consider a cheaper action camera brand and begin from there. How do Graphics Cards Compare These Days? A lot of people wonder which GPU to buy when you are on a budget. The truth is that most people today buy a PC for playing games but have no idea what they just bought. It is no secret that building your own PC is a lot cheaper than buying an already completed one. So, if you are on a budget, you can still get the most out of games. The endless battle between NVIDIA and AMD. Which one is really the better one? From my own experience, and from what I have heard and read, NVIDIA seems to be the better pick. The reason for this is that the newer AMD cards often need more power and are less efficient. However, buying a brand new next generation GPU could be a waste of cash if you don’t intend to using its full capacity by running 4K resolution. The best GPU I have ever heard of is the Gigabyte Radeon 7870 OC. It performs really great for a relatively low price. I have owned this card myself and was very satisfied. I can’t help but notice that the card is of AMD type and not NVIDIA. The truth is that it’s quite an old card today, but can still do 1080p and 60 fps on the latest games. I could even max out the settings on games like Hitman Absolution and still get 60 fps. Obviously, there are other things you must consider to run games in high quality. With this GPU, I had an Intel i5 3570k CPU and 8 GB of RAM. This build does not cost very much at all today, and can still run games like GTA V in high quality. The only exception is if you would want to upgrade from 1920×1080 to a higher resolution. In this case, you would need a better GPU or run two of these simultaneously. Keep a lookout for websites that compare the cost and performance of GPUs and try to find something that suites you. A good website you can use while searching for a new GPU is GPUBoss where you can view charts and compare GPUs. Now, happy hunting and remember that the priciest GPUs aren’t always the ones you need! iPhone 6S – Is It Really Worth It? iPhone 6S has been out for a couple of weeks now, and people have had a chance to experience all the new features. Many say that the upgrade to 6S was a waste of money, while others are in fact very satisfied with the phone. In a previous post, I wrote about two new main features, 3D Touch and Live Photos an already when the phone was announced, people were sceptic about if the upgrade from 6 to 6S is worth it. The truth? It depends. If you’re like me, and love traveling and capturing moments, then I’d without a doubt get the 6S. Coming back from a vacation to and showing people your Live Photos brings more depth into the trip. Of course, there’s also the upgraded 12 MP camera which allows better pictures and 4K filming. After using the standard 6S (not plus) for a few days, I can say that I am more than satisfied (coming from 5S). Previously, because of the smaller screen, I would never consider watching a film or serie on my phone, but now I wouldn’t mind it at all. The 3D Touch gives the phone a little more utility, which is really nice when browsing Instagram for example. The better and faster hardware gives the phone an overall better experience, and the Touch ID is super responsive now. The Touch ID is so fast, that if you want to check the time on your phone, just clicking the home button will unlock the phone. There’s no delay! I have to say, though, that if you have a fully functioning iPhone 6 already, think twice before going for a 6S. The changes aren’t really that game changing if you think about it. As most of us know, iPhone 6S and 6S Plus was announced on September 9, and a lot of people were, and still are sceptic about the new iPhones. I was too, but after looking more closely I was sold. Let’s start by going into Live Photos and the camera itself. Now, a lot of people could still think that this is not such a good feature but I’d say think about it. Going on a trip and capturing Live Photos and then browsing through them when you’re home would not just remind you of the time you were to South Africa for example. It would also let you have that exact same feeling you felt when you were there and took the photo. You will miss it, and re-watch it over and over again. Of course, Live Photos isn’t the #1 required feature for taking selfies, but the new 12 MP camera and the front-facing 5 MP camera are two other reasons to upgrade. With a rear-facing 12 MP camera, the new iPhone 6S and 6S Plus are able to shoot video at 4K resolution and 30 FPS which is FOUR TIMES the resolution of 1080p Full HD. With the release of iPhone 6S, they are still standardly manufactured with 16 GB space which will be a bit tight if you decide to use the new features. It all really depends on what you want to use it for. If you are going to store music, take pictures, film videos and download apps, I recommend that you purchase the 64 or 128 GB version. If you are planning on streaming music instead of storing it, and not using the camera that much, you can get by with 16 GB. Rumors have for a long time said that this will be in the new iPhone and they were right. With 3D Touch, your iPhone can understand how hard you are pressing the screen and it performs different actions depending on your press. If you decide to lightly press and hold on an e-mail in your inbox, you can preview that e-mail. If you press a little harder it will open this e-mail. Same principle goes for Messages. If someone sends you a link or a location on Maps, you can preview this without jumping into some other app, and if you then decide you want to open the link or locations just press a little harder. Apple calls these two features Peek and Pop. Pretty obvious, right? App developers will be able to access 3D Touch and make their own apps and actions so you can expect a lot more from it. What’s great about Live Photos and 3D Touch is that it almost feels like the iPhone is alive and more personal. Tomorrow, September 25, is the day the 6S and 6S Plus are released and people will start reviewing it, so please tell me what you think.